This gallery of approximately 30 products provides informative and fun facts on most of the rocks and minerals that are provided to schools in their fundraising merchandise tubs. ​The gallery contains mineral information, fun and unusual facts, and links to websites and videos which will further your learning, if you become fascinated with the core of our earth. Agates' scientific name is chalcedony. 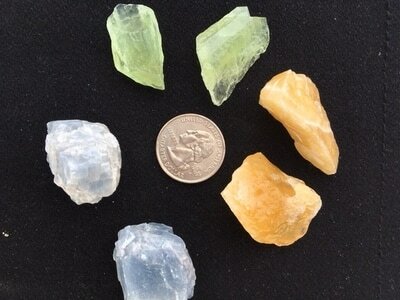 Chalcedony is a type of quartz that is made up of tiny, microscopic crystals. It forms in the holes of volcanic and sedimentary rocks. Do you study the word concentric in math class? Some types of agates are banded around a center point. Learn all about the many cool types of agates with the Agate Lady! 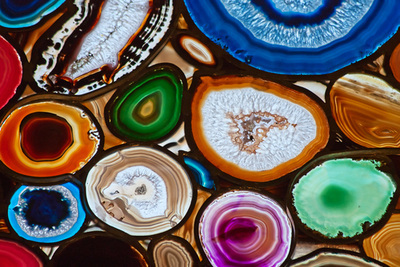 At Earth Treasures, we provide schools with beautiful agate slices, slabs, ends, and magnificent bookends. Many historians believe that the agate was the first type of stone used by early humans for cutting tools, eating utensils, and sharp hunting tools like the arrowhead. Learn more about the fantastic way that crystals form at Ducksters.com. Our amethyst ranges in size from small points to extra large clusters. Amethyst is a type of quartz that has chemical impurities which make it the beautiful lavender and deep purple colors. When choosing an amethyst cluster look for nicely formed terminated points. We carry a number of sizes of amethyst ranging from single small points to larger clusters. We also often have amethyst cluster lamps in stock at prices that cannot be beat. 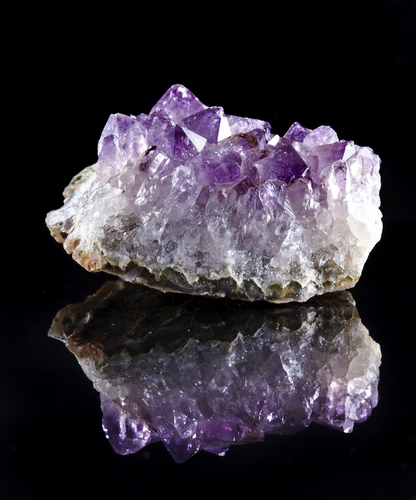 Some of the highest grade & most beautiful amethyst in the world comes from the Four Peaks Mine near Phoenix, Arizona. Our amethyst comes to us from Brazil and Uruguay. Learn even more about amethyst here. 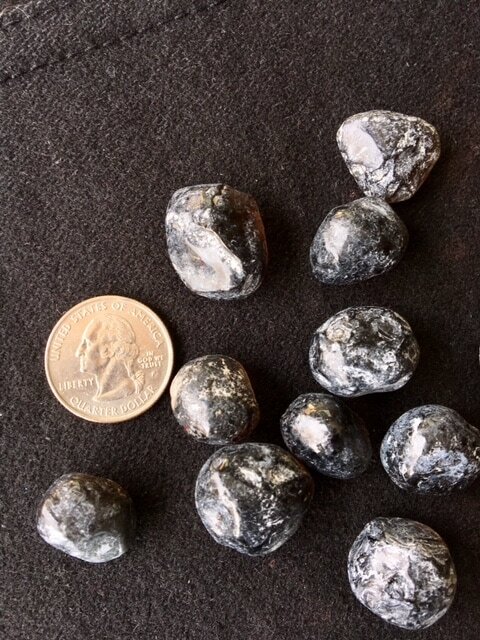 Apache Tears are small, rounded pebbles of obsidian. Obsidian is a type of hard, dark glass like volcanic rock that cooled very quickly above ground. Polish your apache tear nodule and then hold it up to light to see that it is transparent or translucent. This means that light is able to pass through the stone. Historically, obsidian has played an important role in ancient civilizations and our Native American life as it has been used to make various tools. There is an awesome legend about these cool pebbles. Click here to read the Legend of Apache Tears. What geometric shapes do you see on the face of one of the crystals in the photo above? A calcium carbonate, aragonite is often used to replicate coral reefs in aquariums and helps to maintain proper PH in the tank! It is also used in parts of the world to reduce acidity in soil, for better growing conditions. Besides this beautiful reddish brown color, it is often white in color, with needle like crystals, as seen in this photo. 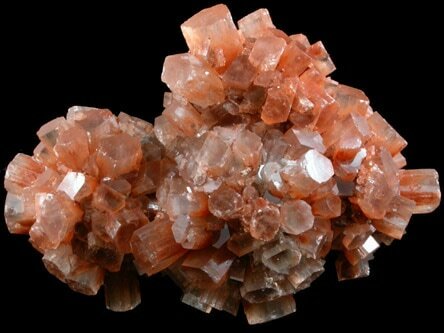 Our aragonite hails from Morocco, and often come out of the earth covered in mud, with the only hints of the amazing crystals inside the ball of mud being the terminated ends of the crystals peeking out of the ball. This article from Rock&Gem provides some awesome info on this amazing crystal. Watch the amazing levitation powers of bismuth with this YouTube video. Our bismuth specimens are lab grown from bismuth pellets. They form in a step lattice formation, also known as hopper crystals. The crystals are iridescent blues, yellows, reds, greens, pinks, and purples. Bismuth is the main ingredient in Pepto-Bismol, an antacid used to help relieve upset stomach. 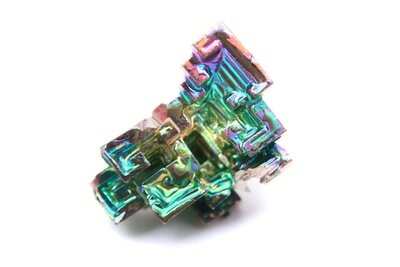 Since bismuth is non-toxic and about the same weight as lead, it is now used instead of lead (which is toxic) in the making of shot gun shells. Shot guns are often used by hunters. • Calcite can be found in over 300 different shapes? • Calcite is one of them most common minerals found on Earth? • Calcite crystals are hexagonal in shape? • We use calcite in construction frequently to build bridges and other "Hard" structures. Celestite is a beautiful light blue crystal. Our small celestite geode clusters come to us from Madagascar. It is also found in the United States in Ohio and Michigan, in Mexico, Spain, Germany, Turkey, and Iran. Have you heard of the word, celestial? Celestite gets its name from Latin origins. Because it is light blue like the sky and/or heavens. 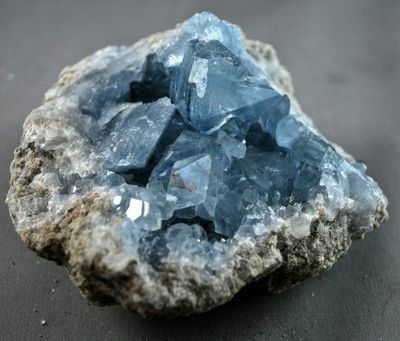 The sun may lighten your celestite's color, so keep it of off the window sill! And enjoy this video of one of the world's largest celestine geodes in Put-in-Bay, Ohio. Did you know that both topaz and citrine are November birthstones? Learn more about birthstones at American Gem Society's website. Citrine has been used in making jewelry since ancient Roman times. More recently, in the fun Art Deco period between WWI and WWII, it was quite popular in making large, beautiful necklaces for famous Hollywood actresses. 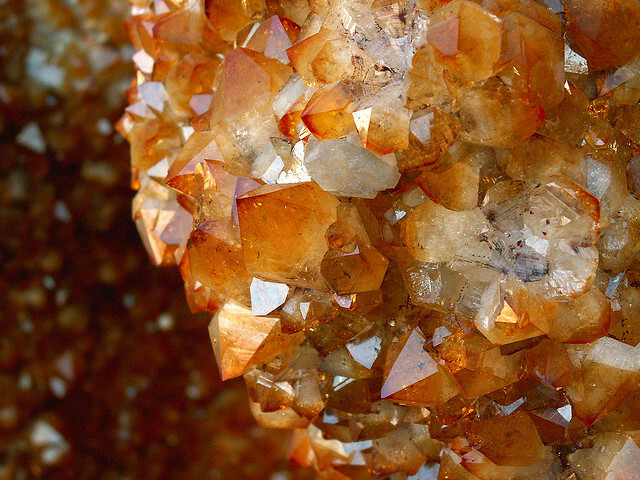 Citrine is a form of quartz. The iron found in the quartz gives the citrine its yellow color. Most of the citrine we buy today is amethyst that is heat treated to become citrine. Our copper sulfate crystals are man made in a lab. Copper sulfate is a combination of copper and sulfur. 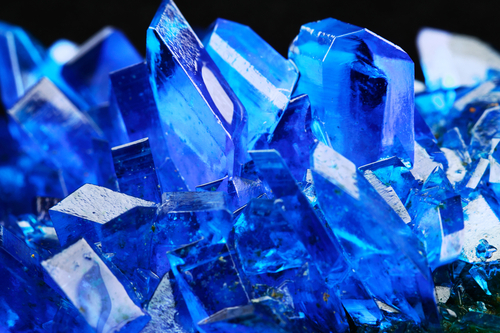 Be sure to place your crystal cluster on a shelf away from light and water, and do not handle your copper sulfate. ​Even moisture from our hands is enough to make the crystals begin to dissolve. When this happens, the crystals begin to turn white. Touch it as little as possible. 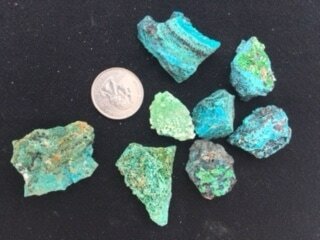 Chrysocolla is a mineral that is often confused with turquoise as it is a beautiful bluish green color. This soft, brittle mineral has copper in its structure which provides its beautiful colors of blue, green, yellow, and black. 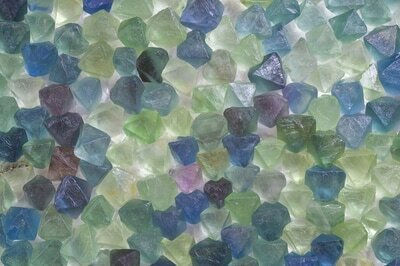 We carry rough stones, but it is often used to make beautiful gemstone jewelry. 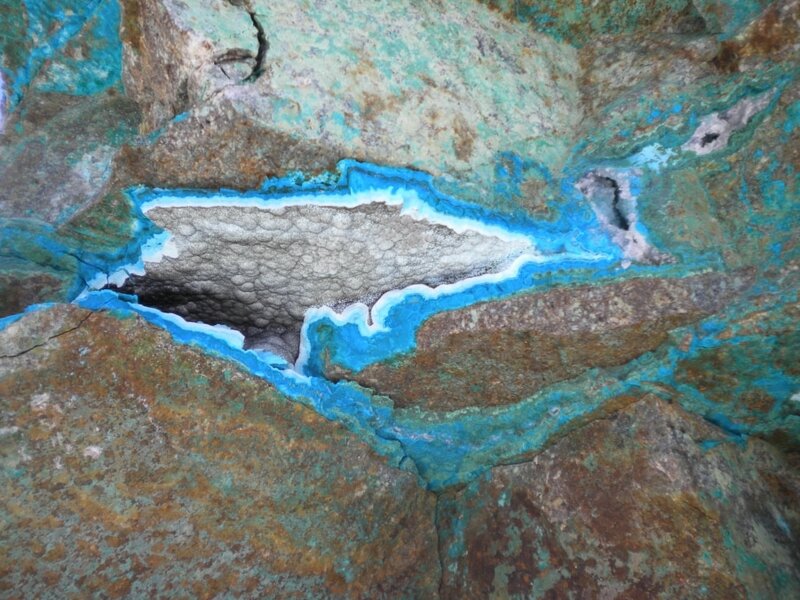 Take a look at this beautiful find of chrysocolla from the Discover Mining History website. Gorgeous! Wow! Check out this desert rose formation in Tunisia in Africa! 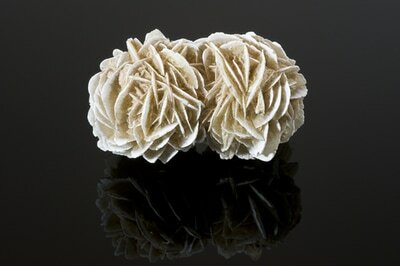 Desert rose is the informal name for the gypsum crystal formations that look like petals of a rose. The tan particles you see are grains of sand trapped inside the fibers of the minerals as the mineral crystallizes. 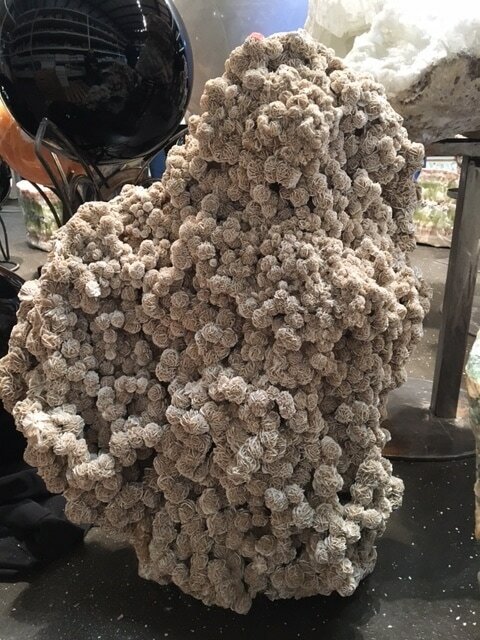 This four foot tall cluster of desert roses found at the Gem and Mineral Show in Tucson, AZ in early 2017, shows how desert rose can be found in large clusters. Amazing! Our fluorite octahedrons come to us from China where they are cleaved into this wonderful three dimensional shape. While they occur naturally in the world in this shape, they are very rare and quite expensive, so the minerals we purchase are natural fluorite but are cleaved into this shape. Cleavage is the tendency of a mineral to split along parallel planes which results in a smooth face. Learn more about the properties of minerals with this awesome mineral song. Also, learn more about minerals with this video. Our small gemstone bottles are well loved by kids! 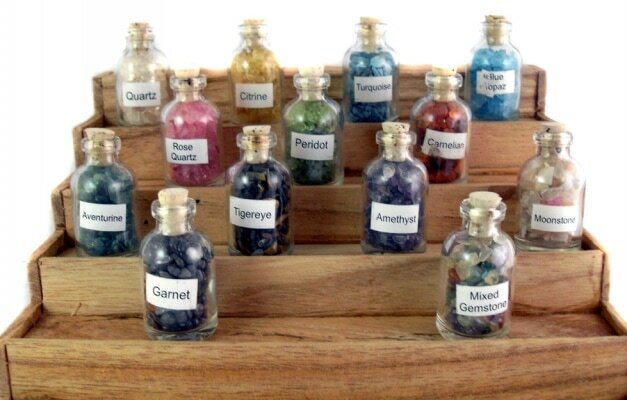 Each gemstone bottle is filled with small chips of a natural gemstone. 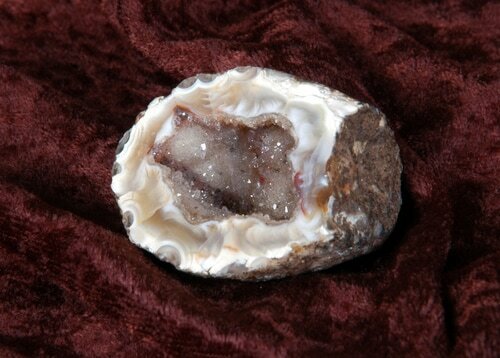 Geodes are found in sedimentary and volcanic (igneous) rock. A geode is basically a hollow sphere or mass. This video describes how geodes form. At Earth Treasures, we sell both geodes that have already been broken in two, with beautiful quartz crystals easily seen, and geodes which you can break yourself at home. NOTE: Always wear safety goggles when breaking open geodes, as the quartz crystals inside are small and sharp. The rock chips may also fly in unprotected eyes as you are scoring the rock. So please use care when purchasing and opening a Break Your Own Geode. The YouTube video below will show you how to carefully break your own geode to discover the beauty inside. 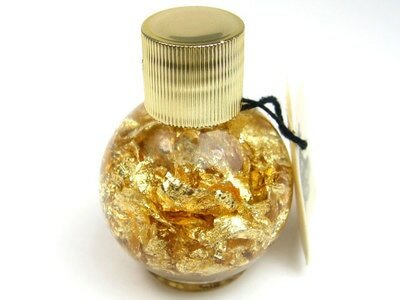 The gold in the bottle is gold leaf flakes. Did you know that one gram of gold (currently worth about $4o) will cover an area of about 10 sq. ft. Each of those bottles will contain only a few square centimetres of gold, or a tiny, tiny fraction of a gram. Since gold is very dense, in order to float in the liquid in the bottle, the flakes are extremely thin. According to one source on the internet, an ounce of gold can be flattened out to cover a tennis court! ​To learn more about the geology of gold, go to Geology for Kids. 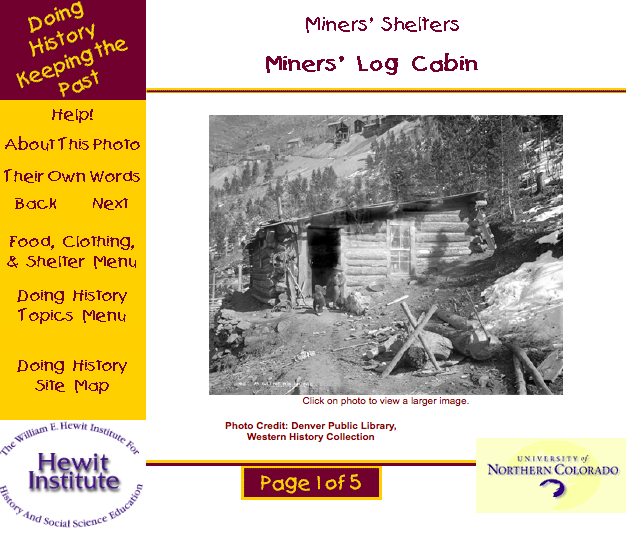 To learn more about the history of Colorado's Mining Industry, this website, hosted by the University of Northern Colorado, is my absolute favorite. Be sure to click on the photos, for more information, and to read first hand accounts of what life what like as a miner in the mid to late 1800s. With its metallic like luster, hematite is an interesting mineral. It is found throughout the world as it is quite common. The red and brown coloring found in most rocks, like sandstone, is due to the hematite found in the rock. Some hematite contains enough magnetite that will make it attracted to a magnet. The hematite that Earth Treasures carries is often called "kidney ore" because it resembles the internal organ called a kidney. 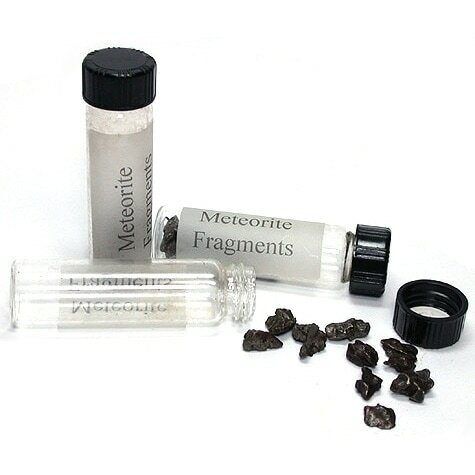 Our meteorites come from the Campo del Cielo meteorite that fell in Argentina, and was first discovered in the 1500s. What exactly is a meteorite? "A meteorite is a piece of iron, stone, or stony-iron composite that has fallen to Earth from outer space. Most meteorites originated within the Asteroid Belt between Mars and Jupiter, and were once part of an asteroid. 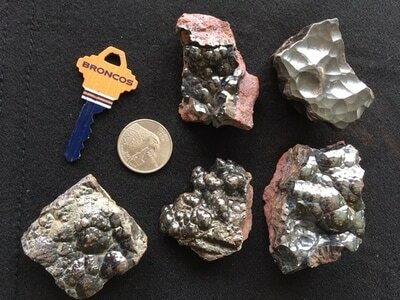 A few meteorites come from the Moon and Mars, and a few others may possibly be fragments of cometary material." 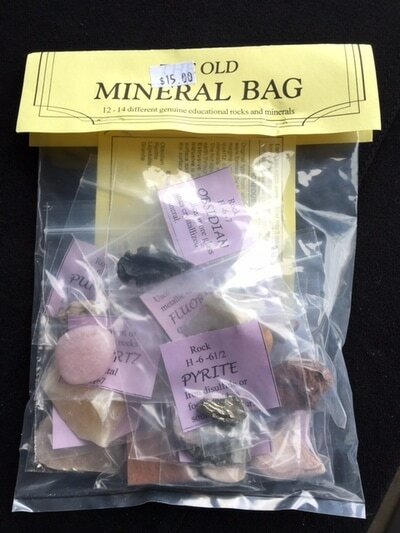 Our Mineral Collections of bagged minerals contain 12-14 minerals, and are perfect for kids who would like to start collecting minerals to learn more about them. Each mineral is individually bagged and includes a brief mineral information card. 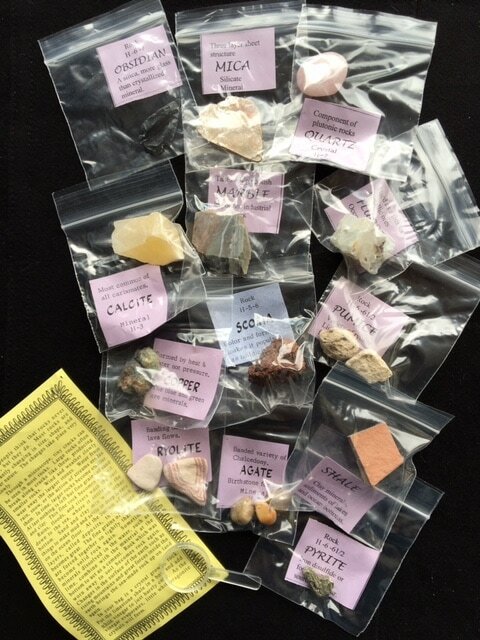 The photo below shows more easily the contents of our Bagged Mineral Collection, including an informational card for the budding scientist. 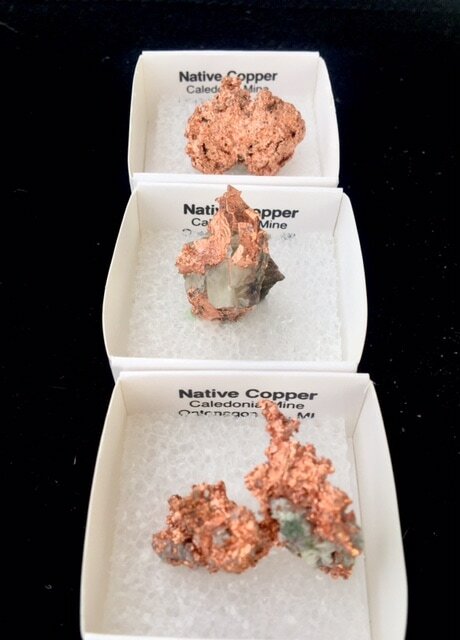 Our incredible native copper specimens come to us from the Caledonia Mine close to the northern peninsula of Michigan. The mine began in 1863! If you were a student living in Michigan, rather than learning about gold mining, you would learn about Michigan's rich cooper mining history. Geology.com has a wonderful article on all of the uses of copper. In 1886, over 80 tons of copper sheeting was used to build the Statue of Liberty. The green coloring in cooper is a result of oxidation, which occurs when the copper is exposed to air and water. We call this a patina layer. ​Read about the copper in a penny here. Copper is an important trace element instrumental for our our good health. Another name for this really cool mineral is Iceland Spar. Iceland Spar is a variety of calcite that is quite clear and transparent. 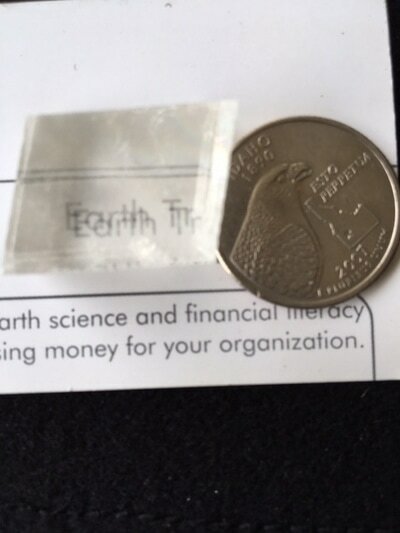 When light passes through optical calcite, it gets bent into two rays of light, making the text appear double. These are called angles of refraction. Legend has it that long ago, the Vikings used optical calcite, the "sunstone," to assist them in navigating their ships. 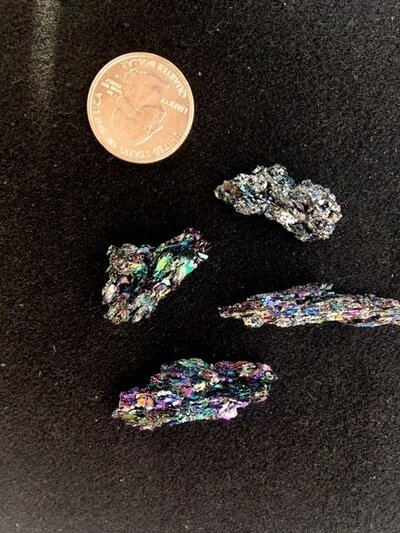 Peacock ore is also called bornite, and is a variety of chalcopyrite, Chalcopyrite is the very popular Fool's Gold, or pyrite. 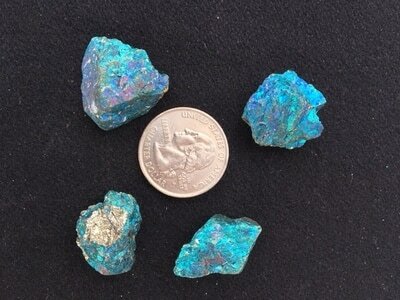 The peacock ore sold to rock collector's is chalcopyrite treated with acid to make it tarnish, producing the beautiful iridescent colors. It is considered to have a low hardness on the MOHS Scale of Hardness with a hardness of 3.5-4. You can go to KidsLoveRocks.com to learn more about the MOHS Scale of Hardness and how it is used to classify minerals. ​To learn more about all of the physical properties of rocks used to classify minerals, click here. 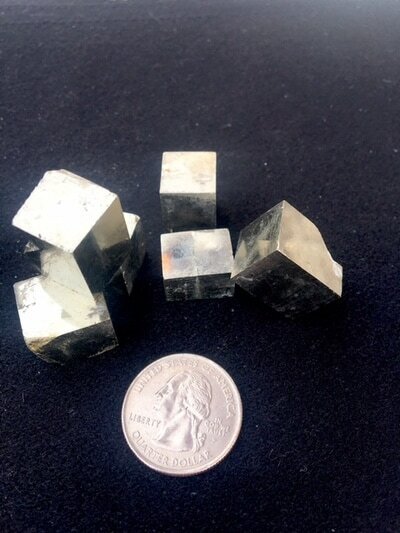 According to the Minerals for Kids website, "the word “Pyrite” comes from the Greek words pyrites lithos, meaning “stone which strikes fire”. They discovered that when you hit pyrite with iron it would spark. This is why it was used to start fires!" Early Native Americans actually polished it really well so they could use it as a mirror! 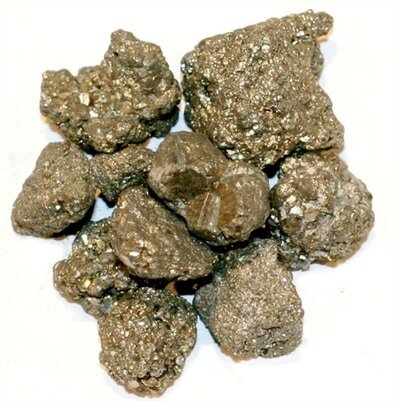 Learn more about pyrite and other common minerals at this wonderful site for kids. To view the YouTube video below with no ads or other videos, click here. Probably my favorite mineral we provide to schools, this cubic pyrite forms natural in the ground in these amazing cubes! This really amazing blog by McDougall Minerals shows the beautiful countryside around the Victoria Mine, in Navjún, La Rioja, Spain, and the mine where these incredible specimens are mined. Here is a wonderful photo from the blog that shows the crystals in the rock. Highly abundant around the world, quartz is found in igneous, metamorphic, and sedimentary rock. Quartz is naturally very clear, and it is other elements that may give it its color. 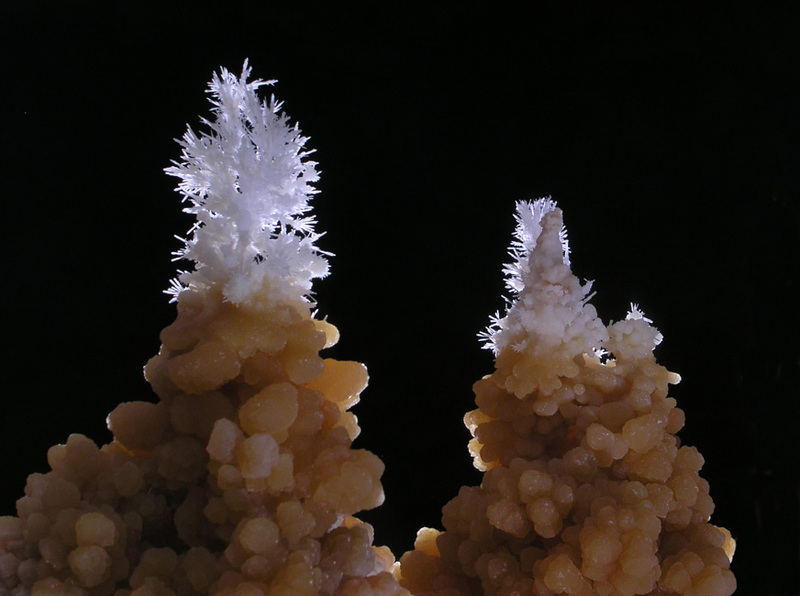 Quartz crystals are often found in the hollow cavities of geodes like our geodes from Morocco. Quartz is often used in building, and quartz countertops are currently quite popular. Quartz is widely used in electronics and watches as well. 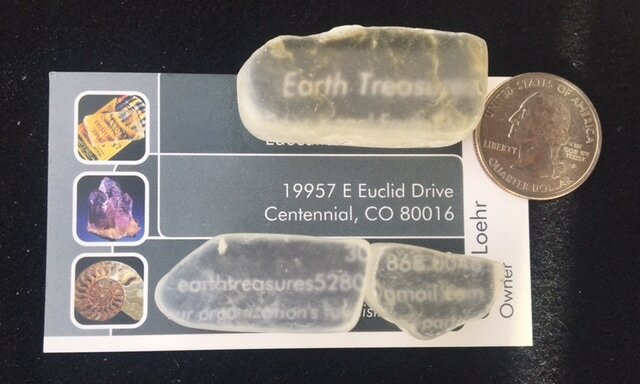 To learn more about this wonderful crystal, go to the Rock Hound Kids website. 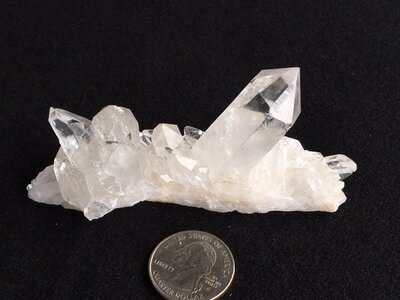 We often purchase our quartz from Arkansas. Check out this $3.5 million quartz cluster from the Coleman Mine in Arkansas. WOW! 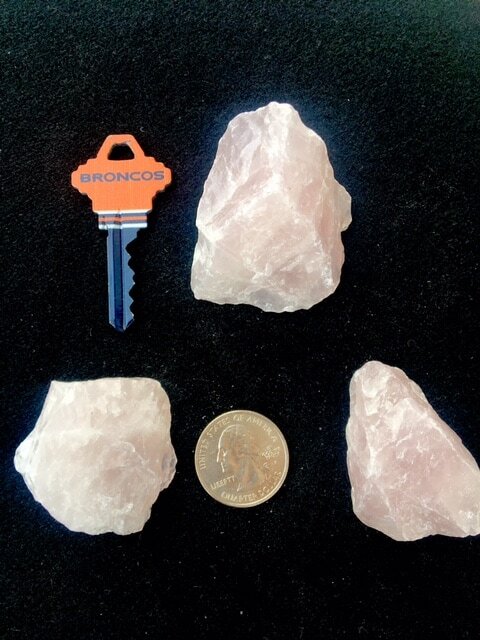 Rose quartz is quite common in our world and is often used in inexpensive jewelry and crafts. We carry rose quartz necklaces, hearts, and rough rose quartz stones. Rose quart is often called the LOVE stone. Scientists are not really sure where the beautiful pink coloring in this type of quartz comes from. Ancient Egyptians believed that this beautiful stone could help prevent aging. Silicon carbide is man made in laboratories. There is a natural mineral equivalent found in nature, but it is extremely rare. The name of this natural mineral is moissanite. Silicon Carbide's uses in our world are plentiful. Some of these uses are as an abrasive. Small particles of silicon carbide are used to create sandpaper. And, when you are skateboarding around your neighborhood, the grip tape on your skateboard just be made of silicon carbide! Another cool use is in the manufacturing of ceramic disk brakes in high performance cars such as Bentleys, Porches, and Lamborghinis. 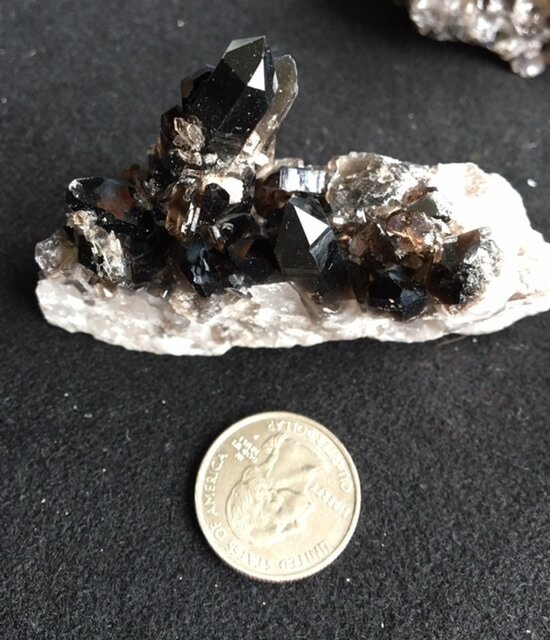 Smoky quartz is found in nature in colors of black and brown, which is a result of quartz being exposed to radiation deep within our earth. On MOHs Hardness Scale, it is considered to be one of the hardest common minerals found in our earth, with a rating of 7.0. This beautiful crystal most often forms in hexagonal prisms. Look for the six faces of the hexagon on your points. Our smoky quartz clusters come from the Coleman Mines in Arkansas and is mined as quartz and then is heat treated to achieve the dark coloring. Our points are mined naturally from the earth. Many youngsters love to start a polished stone collection. 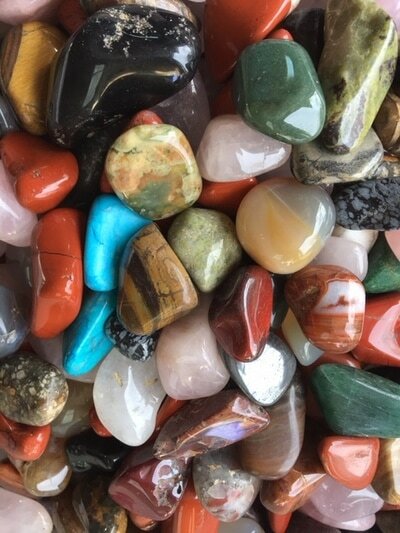 This website will help to identify the type of polished stones we have for sale. Look for interesting patterns such as inclusions, bands. and eyes in the stones. ​ The chart below, by Rocktumbler.com will help you to identify your polished stone. An online version of the chart is on Rocktumber's website. Considered a natural fiber optic, ulexite is one of those those minerals that when kids learn about it, they think it is really, really cool. That's because the fibers in ulexite grow parallel to one another, and like fiber optics, they strands of fibers are hollow inside, which allows light to travel through them. Thus, when you put the stone on top of text or an image, you can see the image. However, if you turn the stone on its side, you cannot. It is opaque. 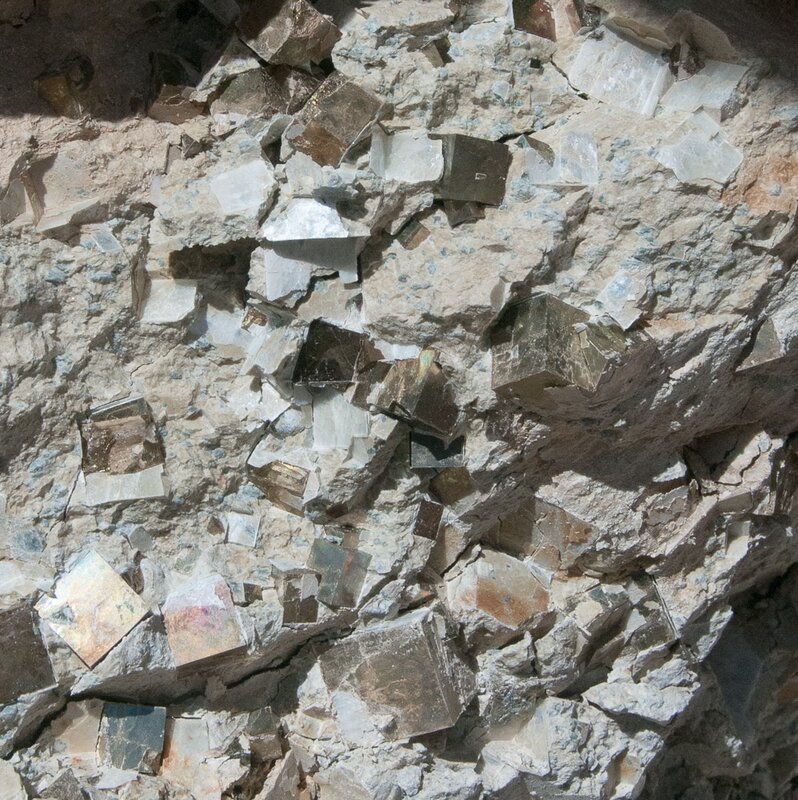 Our ulexite comes from a mine in Boron, California.